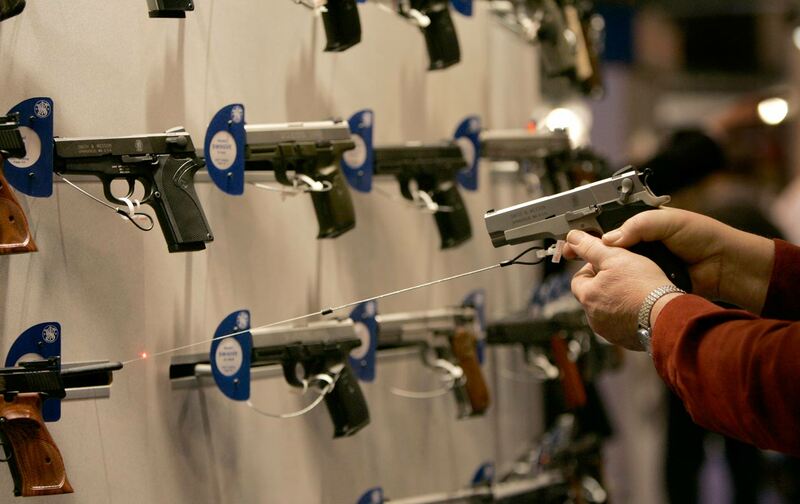 Why Haven’t Republicans Talked About Guns in New Hampshire? Ted Cruz is probably winning the gun primary, but it has not been a huge factor. In New Hampshire, nearly half of the state’s residents own guns. Republican voters have a notorious libertarian streak and resent government interference and control, and only 24 percent favor more strict gun laws. This is also the first presidential cycle since Democrats fully embraced gun control as an agenda item. President Obama almost got a universal-background-check bill through the Senate and has signed over 20 executive orders that tighten federal restrictions on gun ownership. One of every four commercials aired by Hillary Clinton’s campaign has been about gun laws. So why aren’t Republican candidates talking about much gun control? In no campaign has protecting gun rights become a main theme. Every Republican candidate will surely mention it—most will give a passing nod to protecting the Second Amendment and undoing Obama’s executive orders—but campaigning in New Hampshire has concluded without guns becoming a prime red-meat issue. One easy explanation is that most of the candidates basically agree on gun control. Ted Cruz, Marco Rubio, and Jeb Bush all get good ratings from the National Rifle Association and don’t have any major blemishes on their record to attack. Chris Christie and John Kasich are two exceptions, but neither has been enough of a factor to draw in the race much incoming fire. Christie has a C rating from the NRA, which graded on a Republican curve is more like an F. Kasich got an actual F in 1994 for supporting the assault-weapons ban as a congressman. He’s since rehabbed his grade to an A, but gun activists have long memories. Rice’s group is an ally of the Gun Owners of America, the no-compromise national organization that bills itself as to the right of the NRA. Gun Owners of America has endorsed Cruz for president, and while Rice’s group has not made an endorsement, he said Cruz has led the pack on gun rights. “Ted Cruz wears it as a badge. He’s very comfortable meeting with firearms owners, talking about firearms, talking about the Second Amendment, talking about what the founders intended,” Rice said. As solicitor general of Texas, Cruz wrote a brief for Heller v. District of Columbia, the seminal Second Amendment case that reduced government power to enforce some strict gun laws, which Rice said is a huge factor for some pro-gun voters. “This fighting for Heller was not theoretical,” he said. Cruz’s pitch is certainly landing with some voters. Don Belletete showed up at a Cruz event in Raymond wearing a baseball cap branded with Sig Sauer’s logo, and told The Nation he is supporting Cruz and is terrified of what Democrats will do on guns. But for all that, Cruz is third or fourth in the polls. Winning the gun primary hasn’t turbo-charged his campaign. And the man leading it, Donald Trump, has very nebulous views on guns. He once voiced support for an assault-weapons ban in 2000, though now claims to be a thorough Second Amendment proponent. Pro-gun activists don’t seem to be buying it. “We in the New Hampshire Firearms Coalition automatically treat people from New York City with great suspicion,” said Rice. “This is a part of the country where what we do every day in New Hampshire will put you in jail in New York.” He added that for all of his litigious tendencies, Trump has never filed a suit challenging New York City gun laws. Surely Ted Cruz and the other candidates are aware of Trump’s vulnerability here. But they haven’t attacked. And the all-candidates-agree theory has some limits. All the candidates agree on repealing Obamacare, but that doesn’t stop them from mentioning it much more frequently than talking about gun rights. At the end of the day, gun rights always gets a little overestimated as a driving issue for Republican voters. Most polls say GOP voters in New Hampshire care much more about the economy, illegal immigration, and terrorism. And one wonders if Republican candidates have also read polls showing that 79 percent of Republicans support making private gun sales subject to background checks, as Democrats have been promising to do. There’s no better proof of that overestimation than a quiet conversation on guns in the Republican primary so far. This has made it easier for potential apostates like Trump to succeed, and it could be an ominous sign for gun activists hoping to hold strong against newfound momentum for strict gun-control laws.